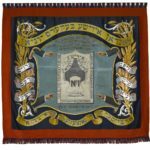 This painted silk banner was made around 1925, and is one of only two surviving Jewish union banners in Britain. It belonged to the London Jewish Bakers’ Union, the longest lived Jewish trade union, which operated from 1905 to 1970. 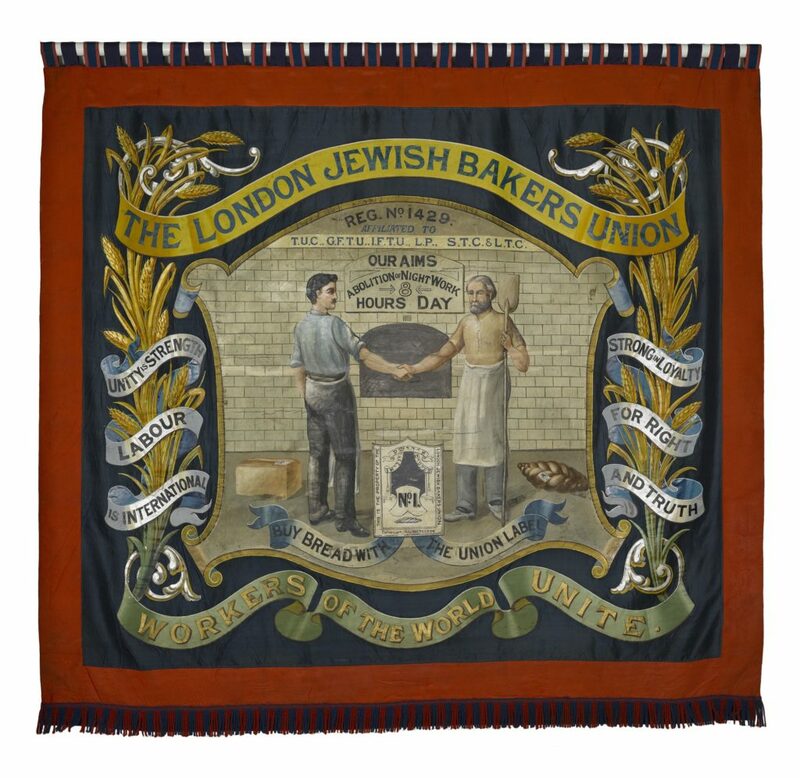 The banner represents a tangible link with the Jewish labour movement which flourished in London’s East End at the turn of the 19th and 20th centuries. It was commissioned while Michael Proof, a leading militant, was the union’s secretary. The banner reminded shoppers to buy bread with the union label, which guaranteed that it was baked under acceptable working conditions. 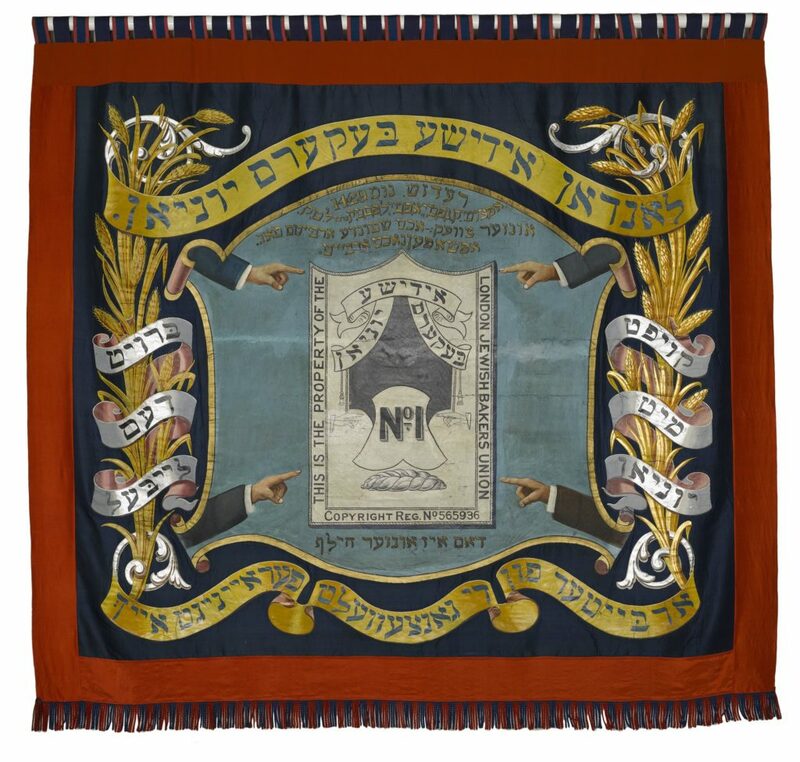 The other side of the banner has the same slogans in Yiddish, and an enlarged depiction of the union label.